Don’t tell Philadelphia Eagles offensive tackle Lane Johnson that Thursday’s matchup with the Patriots is just another preseason game. Johnson, who’s become notorious this year with outspoken remarks and criticisms about the team he won his first ring against was back at it again on local Philadelphia radio Monday morning. Johnson has previously called the Patriots are a “fear-based organization” that is filled with “arrogance” and “no fun”. The Patriots and Eagles don’t meet in the 2018 regular season for a Super Bowl rematch that counts but Johnson didn’t seem too concerned about his reception at Gillette Stadium regardless of the timing. This entry was posted in 2018 Patriots Offseason, 2018 Patriots Training Camp, Super Bowl LII and tagged Lane Johnson on August 13, 2018 by Robert Alvarez. 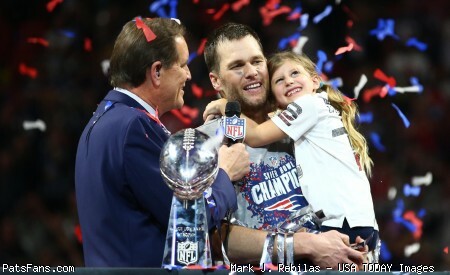 Leading up to Super Bowl LII, the Facebook Live documentary series “Tom vs Time” gave fans an inside look as to how Tom Brady balances football and family over the course of an NFL season. Through five episodes the series was without a finale, as it was dependent upon the the result of the Super Bowl. 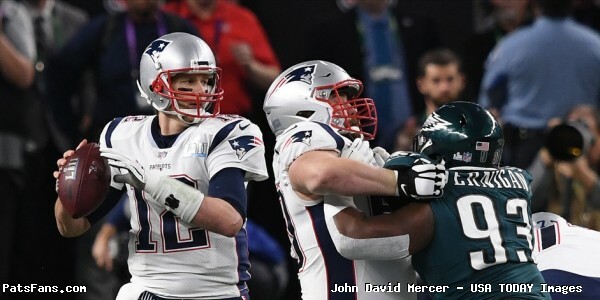 When the Patriots fell to the Philadelphia Eagles in the Super Bowl, many fans were left wondering how it would end. In a statement released on the documentaries official Facebook Page, the creator, filmmaker Gotham Chopra, provided some clarity on what will happen next. If you’d like to watch the previous five episodes, you can see them all compiled HERE. This entry was posted in Patriots Video, Super Bowl LII and tagged Tom vs Time on February 9, 2018 by Robert Alvarez. It was a tough night on Sunday in Minneapolis, but there were plenty of opportunities to get this one done yet it just wasn’t meant to be. Unfortunately, when the Patriots look back at this one, they’ll find it was a lot of the little things that ultimately cost them, and the result now sets them up for what will likely be a long offseason. 1) The Butler Situation Will Be One That Likely Won’t Be Forgotten – While Malcolm Butler was sick this week as he reportedly battled the flu, according to most reports, the veteran defensive back was physically O.K. by the time Sunday’s game came around. However, he found himself on the sideline for the entire contest, leading to what should be quite a bit of speculation this week. Head coach Bill Belichick called it a “coaching decision” and wouldn’t elaborate, leaving a clearly upset Butler on the sideline for the entire night as Philadelphia had their way against a secondary that seemingly couldn’t do anything to stop them. Eagles quarterback Nick Foles put up 373-yards passing along with three touchdowns as Philadlephia put up over 500-yards of total offense. It’s hard to imagine Butler couldn’t have helped them, but whatever the reason, he just wasn’t out there. After the game, Butler had little to say about his absence. Many fans will likely remember the Wes Welker incident where Belichick left Welker on the sideline for the first series in a postseason game against the Jets years ago for disciplinary reasons, but he was only out for that set of plays. Sunday night, Butler missed the entire game, which is a completely different story. It’s hard to make a snap judgement, but the one thing we do know is that whatever the reason, it speaks volumes about how football should have come first and prevented this from ever reaching this point. A few plays here or there could have been the difference in the game, and it’s unfortunate that Butler’s potential final game ultimately turned out the way it did. Some may want to point fingers at Belichick for making the decision, but when the news eventually comes out, it’s going to be curious to make sense of a situation that saw Butler left out of this game while his teammates played on. What’s done is done and if Sunday is any indication, it appears the same can be said of Butler’s career in New England heading into next season. Nick Foles and the Eagles had their way Sunday night. 2) Speaking of the defense, they were horrific on third down – There’s no real way to mince words when it comes to how New England played defensively on third down Sunday night, which was ultimately their Achilles Heel in the loss. Philadelphia finished Sunday night 10-of-16 on third down and that number doesn’t even tell the whole story. 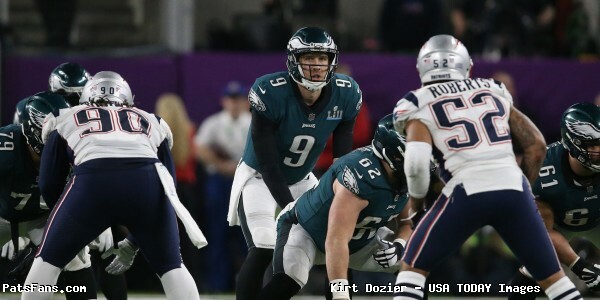 The Eagles essentially imposed their will against a group that just couldn’t rise to the challenge, allowing Nick Foles and company to do whatever they wanted. The ugly part of it was how much they just couldn’t get off the field and to take it a step further, the amount of yards they gave up was completely alarming. Here’s a list of each of those 3rd downs and the results, which more or less paints the true picture of why they lost this game. What you’ll notice on the above is the fact that on nine of those sixteen plays, the Eagles picked up 11 or more yards, which was obviously a serious problem. To take it a step further, of Eagles quarterback Nick Foles’ 28 total completions, 17 of them went for double digit gains, including 12 that went for 15-yards or more. As Bill Belichick likes to say, that’s probably not what they were looking for. Defensive coordinator Matt Patricia took full responsibility after the game. 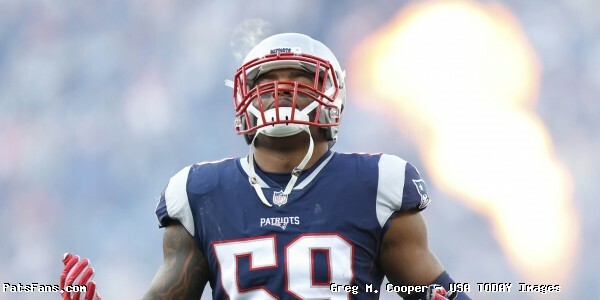 “Obviously, I didn’t do a good enough job here with the defense,” Patricia said via ProFootballTalk.com. “Look, that is a great offense, they are extremely talented. I have been talking about it all week how good they are. It certainly wasn’t the way Patricia probably wanted to end his career in New England. It’s unfortunate and he likely won’t get a shot at redemption anytime soon. 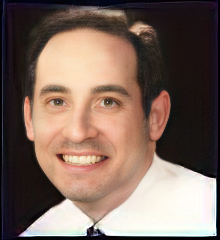 He’s now expected to be named as the new head coach of the Detroit Lions in the coming days. 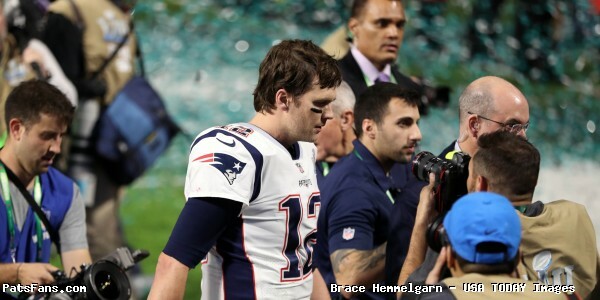 Brady played well enough to win Sunday night. 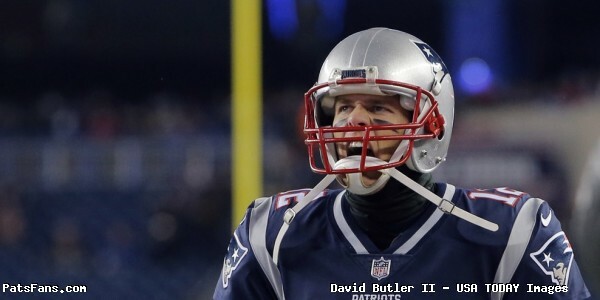 3) As usual, Tom Brady did more than enough to win the game – While people will talk about the fact he’s now lost three Super Bowls, it doesn’t change the fact that there shouldn’t be a single person who puts this one on the veteran quarterback. Brady finished the night with a Super Bowl record 505-yards passing along with three touchdowns, including bringing them back from a 12-point deficit and put them in front at 33-32 with just over 9-minutes left in the game. But New England’s defense faltered again down the stretch, allowing the Eagles to march 75-yards on 14 plays to go up 38-33 thanks to an 11-yard touchdown to Zach Ertz with just over 2-minutes to go in the game. 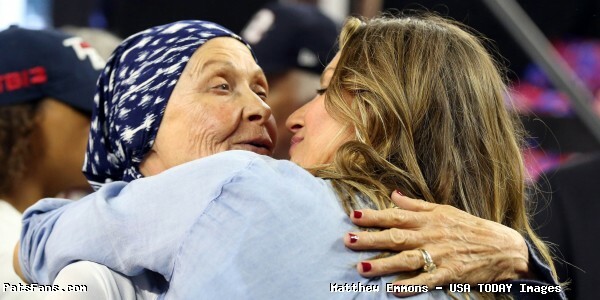 The veteran quarterback tried to mount a comeback, but it just wasn’t meant to be. The Eagles did a good job of getting to him for most of the night but it was a critical play in the waning moments that ended up being the difference. 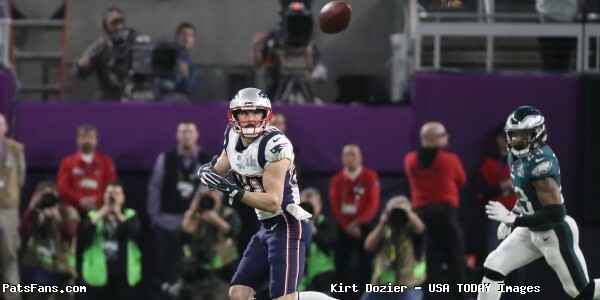 While the offensive line of the Patriots had done a decent job, Philadelphia was able to slip through and forced a fumble after swatting the ball out of his hands as he was throwing the ball on the ensuing drive deep in their own end. From there, the Eagles added a field goal, and it left him without enough time to pull off another miracle. Mixed into his problems was the fact that the team lost Brandin Cooks for the night after he took a gruesome hit early in the 2nd-quarter following a 23-yard gain. 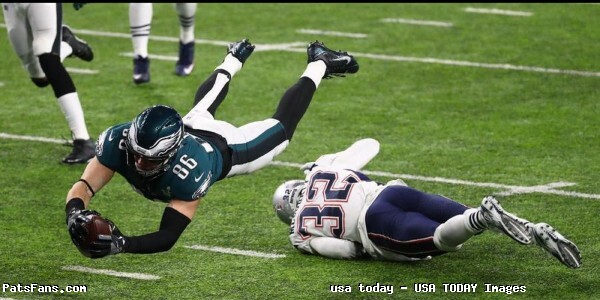 He was absolutely drilled by Malcolm Jenkins on a blind-side hit where Jenkins caught him under the chin and struck him so hard, Cooks hit the turf and appeared to be knocked out. He eventually got to his feet and walked off the field under his own power, but he was ruled “Out” mere minutes later with a “head” injury and it left New England without one of their key weapons for the rest of the game. The fact Brady pulled off what he did this season was incredible in itself and he did more than enough on Sunday night to win the game. Unfortunately the defense let him down and they just came up short. Brady said he expects to be back in 2018, but he’ll need a little bit of time to get over this one. Amendola was terrific again Sunday night. 4) Another Terrific Performance By Amendola – One of the big topics of discussion in the months ahead will likely center on the future of Danny Amendola, who will be a free agent yet again this offseason. Sunday night proved how valuable he is after he picked up the slack following Cooks’ departure and he finished the night with a team-high 152-yards on 8 receptions. However, the stat that really stands out is the fact that 98 of those yards came on third down. He finished the night catching 4-of-5 on third down for 98-yards and 4 first downs. He’s been absolutely incredible all year and he nearly helped New England survive the loss of Julian Edelman this season and he was crucial two weeks ago against Jacksonville after the Patriots lost Gronkowski with an injury. Getting him back for 2018 will hopefully be among New England’s priorities as he’s still playing at a high-level and has more than proven he’s a pressure-player they need on this football team. Amendola was obviously disappointed after the game, saying they gave all they had but just came up short. Brady may not have Gronkowski in 2018. 5) 2018 Seems Daunting Right Now – While it’s a little early to think too far ahead, it’s hard not to ponder whether or not this team can potentially get back to this point and the early thoughts are a little concerning. What we know is that there are changes ahead, which includes changes in the coaching staff and obviously from a personnel standpoint. The departure of Butler will likely be one of the big topics of the offseason and if that happens, it puts them in a tough spot. If we learned nothing Sunday night, we learned that the Patriots will be in dire need of stabilizing the cornerback opposite Stephon Gilmore next season as they try and add talent while continuing to build depth at the position. They also need more speed at linebacker and also (still) need help putting pressure on opposing quarterbacks. 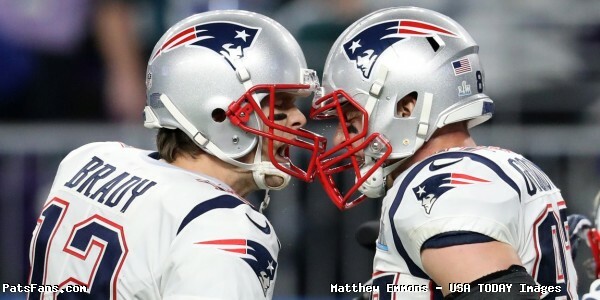 Offensively they’ll have Julian Edelman coming back, but the news of Rob Gronkowski pondering retirement may take away their threat of a potent tight end and change the face of their offense again. Anyone who has followed this team over the years knows that prior to Gronkowski and Aaron Hernandez’ arrival to this team, they haven’t had anyone who was able to strike fear into opposing defenses. Obviously, we know what happened with Hernandez and they’ve already felt the impact of what it’s been like when Gronkowski has been unavailable. If you couple the uncertainty of both Gronkowski and Amendola, along with the question of how potent Edelman will be coming back from a significant knee injury, it puts them in a curious situation heading into 2018. Needless to say, expect an eventful offseason as Belichick tries to rebuild both the coaching staff and his roster. Last year he at least had the luxury of riding the high of a championship to help lesson the impact of the task at hand. Unfortunately, after Sunday night, he won’t have that luxury this time around. With 2017 now officially in the books and free agency just weeks away, expect them to turn the page pretty quickly as they start getting ready for 2018. This entry was posted in Patriots Commentary, Super Bowl LII on February 5, 2018 by Ian Logue. New England Patriots superfan Fitzy returns with an all new webcast previewing the Super Bowl against the Philadelphia Eagles on Sunday night. This entry was posted in Patriots Video, Super Bowl LII and tagged Fitzy on February 4, 2018 by Robert Alvarez.